Choose from a variety of dining options in the area when visiting Plattekil Mountain. You’ll find something to please every liking from fine cuisine to family dining. All locations listed below are within 30 miles of the mountain. Reservations are recommended during holiday periods at most restaurants. Serving lunch and dinner daily and brunch every Sunday year round, the Restaurant at the Andes Hotel offers an inventive, regularly changing menu focused on farm fresh food that brings home the true flavor of the Catskills. Brushland hopes to revisit the classics, the kinds of dishes that remain scribbled on recipe cards despite having seen centuries worth of culinary evolution. Dishes that will likely conjure memories of relatives or childhood, that favorite cast iron pan or the smell of a warm, bustling kitchen. The Bull & Garland is a British style gastropub and inn located in the bucolic book village of Hobart, NY. The restaurant offers pub classics and seasonal cuisine in an historical, country inn setting with specialty cocktails and fireside dining available throughout the winter months. At Hanah Mountain Resort the main attraction in our clubhouse is our beautifully appointed, 200 seat Mountain View restaurant which offers fine dining. Our large dining room over looks the 19th hole and scenery of the Breathtaking Catskill Mountain Range. The Mountain View Restaurant serves Seasonal American Cuisine under Certified Executive Chef Ashleigh Germond, CEC. Chef and Co-owners, Devin and Marybeth Mills, hail from NYC’s finest eateries: Le Bernadin, Picholine, the Hudson River Club, and Grammercy Tavern. Seeking to move closer to the source of their ingredients, they have beautifully restored a 19th century farmhouse on Rte 28 in big Indian, NY. Peekamoose features a menu that changes daily, an award winning wine list and a nightly bonfire for roasting marshmallows. Serving lunch including burgers, fresh salads, steak sandwiches, paninis, artisan pizza and much more! For Dinner we have seafood including fresh tuna, trout, salmon, zuppa dePesce, steaks, ribs, and pasta dishes. All entrees come with all-you-can-eat garden salad bar. Serving Breakfast, Lunch and Dinner, Cocktails, Sunday breakfast buffet. Closed Wednesdays. Open Thursday 4 – 9, Friday – Sunday 12 – 9 Closed Monday – Wednesday. Let us prepare you a mouth watering lunch or dinner from our wood fired oven. Our pizza is the best around and our burgers are grilled to perfection on our wood fired grill. We have daily lunch specials, specialty pizzas, burgers, wings, and chicken sandwiches. Add to that our chicken, eggplant, or meatball parms. We have beer and wine selections as well as a full liquor bar. For those who love good food, good drinks and good company, come together with old friends, and make new ones. “May you have warm words on a cold evening, a full moon on a dark night, and a smooth road all the way to your door”. Sláinte. We are committed to sourcing seasonally, locally and organically. We have truly unique and lasting partnerships with our farmers and producers and serve honest, fresh food that highlights these connections and high quality ingredients. Friday and Saturday nights we serve wood fired brick oven pizza’s from 6pm- 9pm, The cafe is open for breakfast & lunch Thursday – Sunday 9AM – 3PM. Our Inn is located above the restaurant with three rooms available and a second private studio location just outside of town. *** 15% off special with presentation of a ski pass from corresponding weekend. Family fun atmosphere, serving a fresh menu created around Italian cuisine. Hand spun pizza and some of the best wings you will ever try. We feature a full bar with Pub Grub Menu for your enjoyment. All-U-Can-Eat buffet every Friday night starting at 5:30pm. Serving clams, shrimp, wings, pasta, dessert and much more! Also serving beer and wine. Breakfast and lunch served daily. Credit cards accepted. Breakfast & lunch specialties served in an old caboose with adjoining dining room porch and deck. Large portions and fast service. Locally known as Jack’s or The Caboose. Check out the daily lunch menu posted on Facebook under Arkville Bread & Breakfast. Simple Food – Done Right! Homemade Soups, Salads, Pies, Cakes, Cookies & Muffins.We fresh grind top round for our burgers. We roast our own turkey breast & roast beef. We bake our breads & rolls. Serving breakfast and lunch in our beautiful dining room with mountain views and stream side dining. 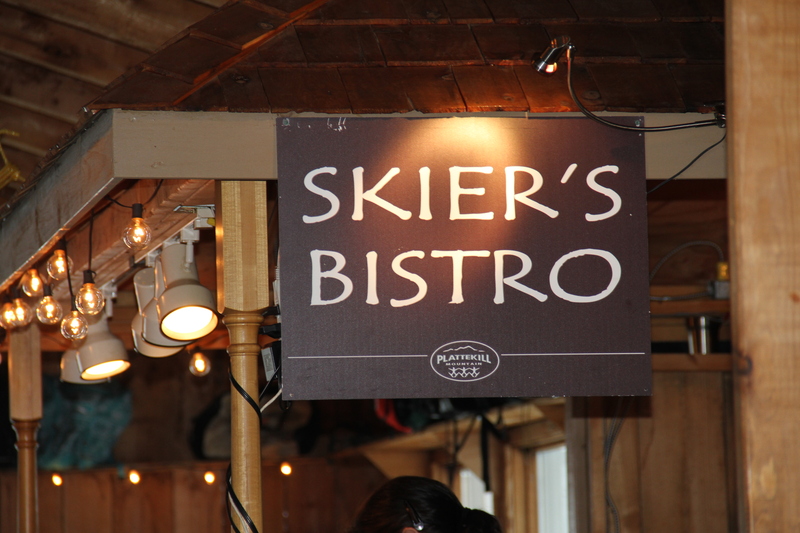 Come have breakfast before you ski! Everything is homemade with love. Open 7-2 Tuesday – Sunday Closed Mondays. EGGS N MORE Farm-fresh eggs in any style you prefer. Poached, fried, scrambled, sunny side up, or an omelet… just order what you like and we’ll prepare it your way. HOMEMADE SANDWICHES Wraps, Submarines or Hot Sandwiches of your choice. From Grilled Cheese to Buffalo Chicken we have a little something for everyone. Two Old Tarts is a restaurant and bakery dedicated to providing fresh, inventive, and irresistible baked delights, breakfasts, lunches and dinners with a unique twist. We’re committed to supporting our community, and use many locally grown products in our dishes. From the eggs and fruit in our tarts, cakes and muffins, to the produce in our entrees, sandwiches and salads, you can taste the difference these farm fresh products bring to our food. We are an American diner serving breakfast and lunch specials daily from 7am – 2pm. We serve dinner every Wednesday night from 4pm – 8pm. Homemade soups, pies, cakes and desserts. Open Daily 4 – 10pm Closed Wednesday and Thursday. Welcome to Tuna III for excellent sushi and other delicious Japanese specialties! Our food is prepared fresh and made to order, and we can accomodate special requests. We look forward to serving you in our warm, welcoming, family-friendly atmosphere.